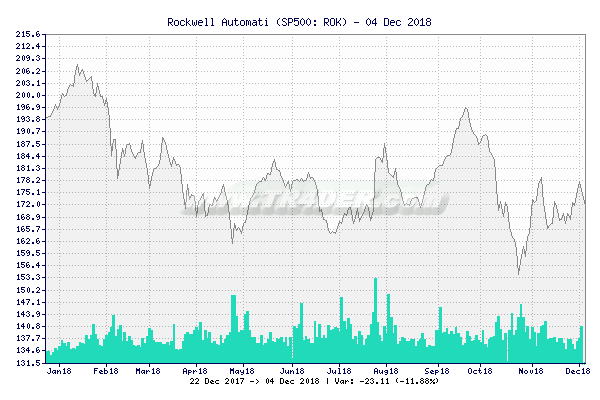 TR4DER - Put a Rockwell Automati [ROK] chart on your website! Last Minute: "The Mueller report vindicates Jeff Sessions - Washington Examiner" Fri, 19 Apr 2019 17:14:00 GMT "Sanders goes on offensive defending credibility after report - Salt Lake Tribune" Fri, 19 Apr 2019 21:22:20 GMT "Armed Mexican troops question American soldiers on US side of border - CNN" Sat, 20 Apr 2019 00:56:00 GMT "'No authority': New Mexico governor tells militia to stop arresting migrants at border - NBC News" Fri, 19 Apr 2019 19:21:00 GMT "The Russian collusion story is a reminder of why media should 'wait and see' - Washington Examiner" Fri, 19 Apr 2019 23:24:00 GMT "Justice Department dismisses Democratic Mueller report subpoena as 'premature and unnecessary' - Washington Examiner" Fri, 19 Apr 2019 21:46:00 GMT "Hurricane Center reclassifies Michael to Category 5, the first such storm to make landfall since 1992 - The Washington Post" Fri, 19 Apr 2019 16:14:47 GMT "Cummings on impeachment: 'We may very well come to that' | TheHill - The Hill" Fri, 19 Apr 2019 18:46:32 GMT "Turpins Sentenced to Life In Prison For Starving, Shackling Children - NPR" Fri, 19 Apr 2019 22:55:00 GMT "Florida deputy reassigned after video shows him punching teen in the head - NBC News" Fri, 19 Apr 2019 20:40:00 GMT For more news, click here. You should select only the width and height of the image you wish and click on "Obtain Code" to see a preview of the chart how it is at the moment with the data you have chosen. 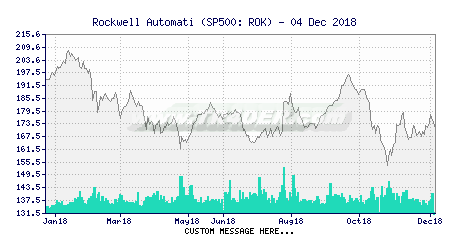 After doing that, you can put a custom text at your taste, and click again on "Obtain Code" and you'll have the final code of the chart you've made for you to put on your website.The asset is already chosen, in this case the "Rockwell Automati [ROK]", asset, if you wish to select choose another one, you should go back to the quote page, and select another asset.